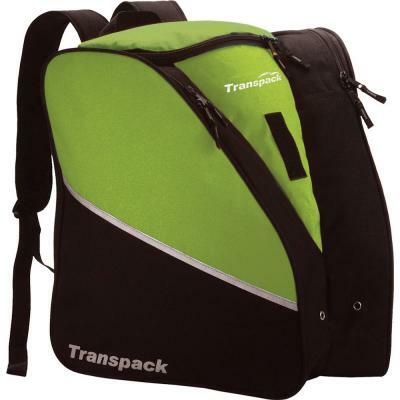 Introducing the super convenient Edge Boot Backpack by Transpack Lime. Lightweight and rugged, the EDGE will get your boots and gear to the mountain through all types of weather conditions. Introducing the super convenient Transpack Edge Boot Backpack Lime. Lightweight and rugged, the EDGE will get your boots and gear to the mountain through all types of weather conditions. Features a patented Isosceles Storage System™ that carries boots, helmet and gear. Super convenient for traveling too.